Among the many miracle roots that have made their way into the tables of everyday humans, beet can be ranked among the top without any second guesses. This one of kind vegetable with one of a kind true red color, beets are packed with essential vitamins like A, B1, B2, B6 and C. This sweet and flavorful vegetable is also the storehouse of calcium, magnesium, phosphorous, sodium, copper and most importantly, Iron. While the content of iron is not way too high, the quality of the same makes all the difference. The iron present in beet in known for providing a natural healing effect to a number of illnesses that result from being exposed highly polluted environments. This is perhaps, the first glimpse of cleansing effect that you can earn from beet. Besides this, a significant content of folate, iodine, fiber and good carbohydrates also finds place in the latter. There is no greater truth than to say that a healthy liver is just as good as a healthy ‘You’. The second largest organ in the body and weighing about 3 pounds, this is one of those vital organs that have been vested with certain life sustaining functions like storage of nutrients in the body, maintaining immunity, producing vital protein components in the blood plasma, assists the process of metabolism and plays the most critical part in the process of digestion by producing bile. With all this, it is quite understandable that compromising on the health of the liver can compromise each and every part of the body and its functioning. However, the most important role that liver plays is in the process of detoxification of blood. In very simple words, the blood that comes from the digestive tract, goes through the liver first to have all toxins removed before to flows into the blood. So, it is quite obvious that the liver which is the organ for detoxification and gathers so much filth day after day, needs detoxifying itself from time to time. This is where the importance of beet comes in. Beet is rich in a number of nutrients that cast a direct effect in cleaning the liver. 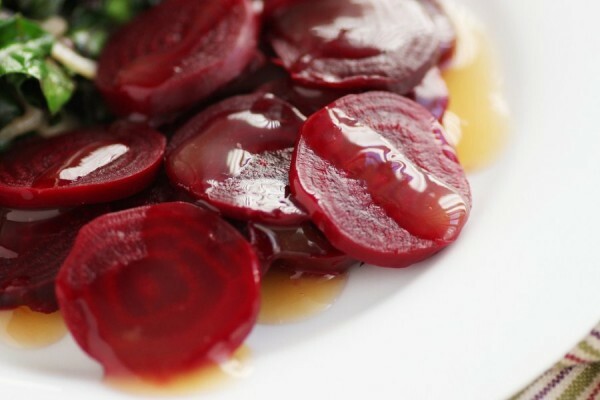 Betaine, a component of beet helps liver eliminate its toxins. This is followed by the role of a fibrous content called pectin that carries the toxins away so that it does not re-mingle with the blood. Thirdly, a certain pigment in beet called Betalaines with high anti inflammatory properties speed up the process of detoxification. So, if you say that beet is a natural medicine for your liver, it will be a statement of truth well stated. It is never too difficult to incorporate beet in your everyday diet considering the fact that it is So Tasty! You can either chop it and munch it raw or juice it; you can also prepare a healthy smoothie with healthy ingredients like a dash of almond milk and herbs. Beet salads prepared with quinoa or lentils can make health boosting nutrient packed lunch and dinner inclusions.